By the late 1980s it had succumbed to uncontrolled grazing and poaching, with the elephant population reduced from 4,500 to just 11. In 1989 the national government gave Tony Fitzjohn the mandate to manage the area and restore the natural ecosystem and wildlife. The elephant population has now reached 500, and breeding programmes for black rhino and African wild dog have returned these animals to Mkomazi (redesignated in 2008 as a National Park). Security is maintained by game guards assisted by aerial patrols. A 55km2 electric-fenced compound houses the black rhino breeding programme. African wild dogs are bred in six separate facilities – to maximize genetic diversity – before being released into the park. Community initiatives reach over 200,000 people in 41 local villages with improved water supplies, machinery for road maintenance, and more. Over 900 children a year come to the National Park for environmental education sessions whilst the Friends Of The Rhino bus visits local schools, acting as a mobile classroom. Working with its parent NGO, the George Adamson Wildlife Preservation Trust, Tusk has been a major sponsor of Mkomazi for many years. Field operation support has contributed to game guard salaries, aircraft patrols, vehicles, machinery, fencing, and workshop equipment. We provided funds for the environmental education centre and the schools bus. In 2012 we were instrumental in the transfer of three black rhino from Port Lympne Wildlife Park in the UK to Mkomazi, and we have also covered costs for wild dog translocations. 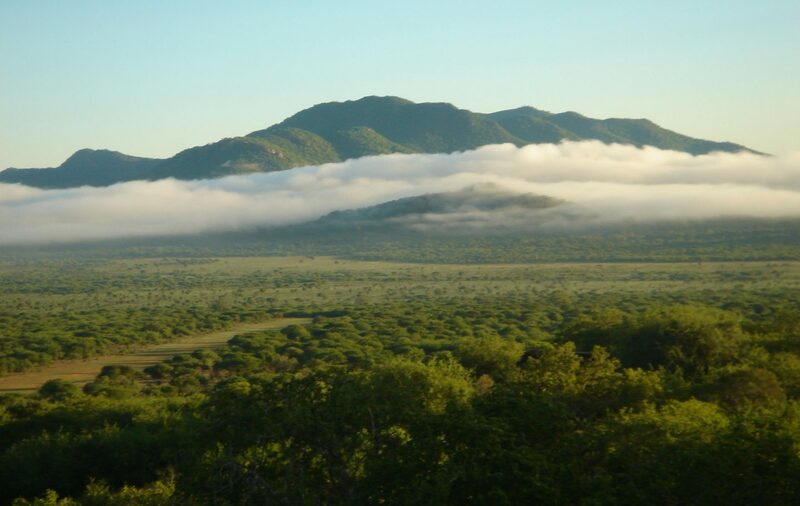 The restoration of Mkomazi is an inspirational success story in African conservation. Ongoing support is needed to ensure that its recovery continues and its contribution to conservation in Tanzania expands.